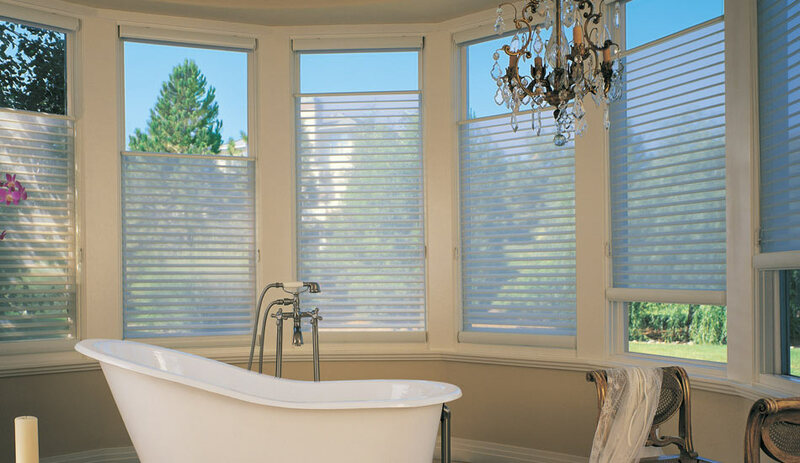 They may be soft and beautiful at first glance, but the Silhouette window shade is so much more. 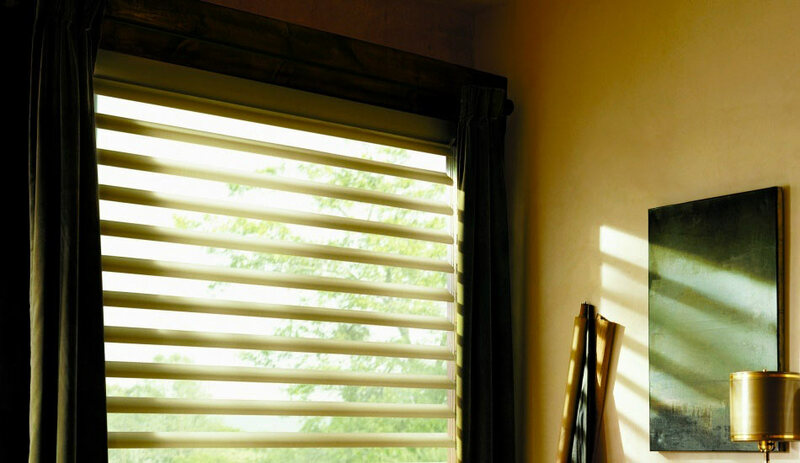 The Silhouette blind isn’t shy about taming harsh sunbeams and filtering out UV rays. The shading is made of sheer front and back facings, with fabric vanes suspended between them. 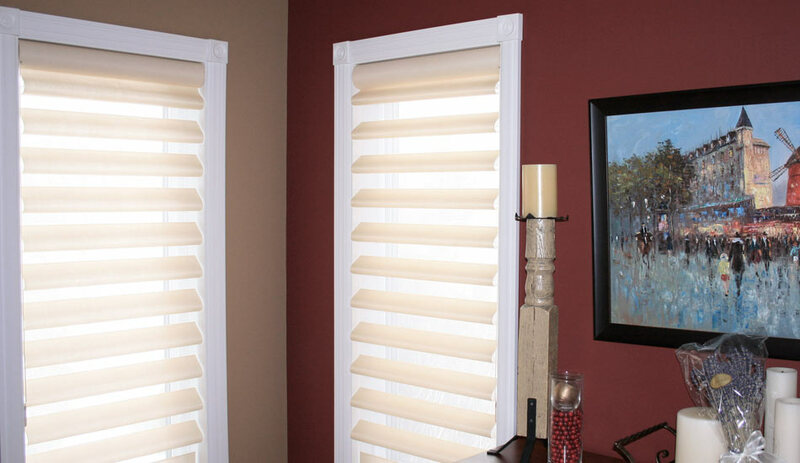 When you open the fabric vanes, you will watch your room fill with a warm brilliant glow. Close them, and the light becomes more subdued but never completely darkening. 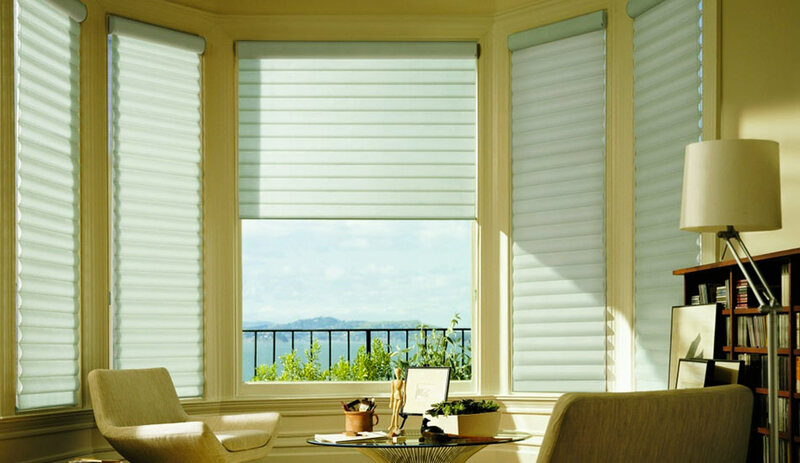 Or tilt the fabric vanes anywhere in between, and you can treat yourself to any level of illumination you desire. An impressive range of light control options is just the first of many benefits you will appreciate as you get acquainted with this unique window fashion. 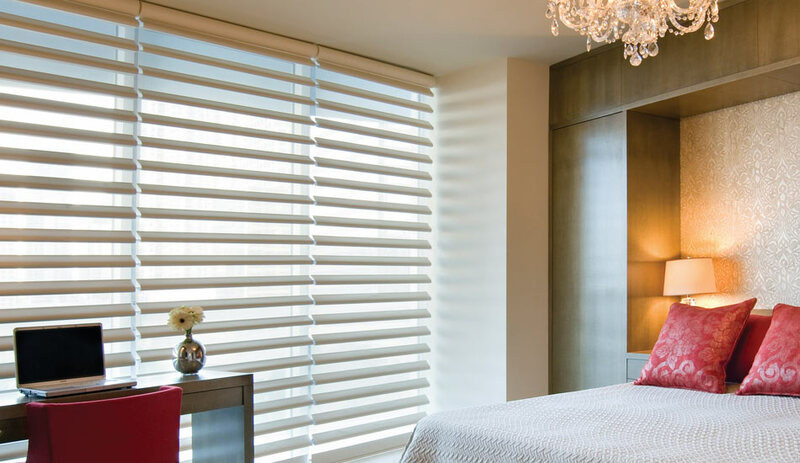 Silhouette blinds also strike a balance between beauty and practicality. 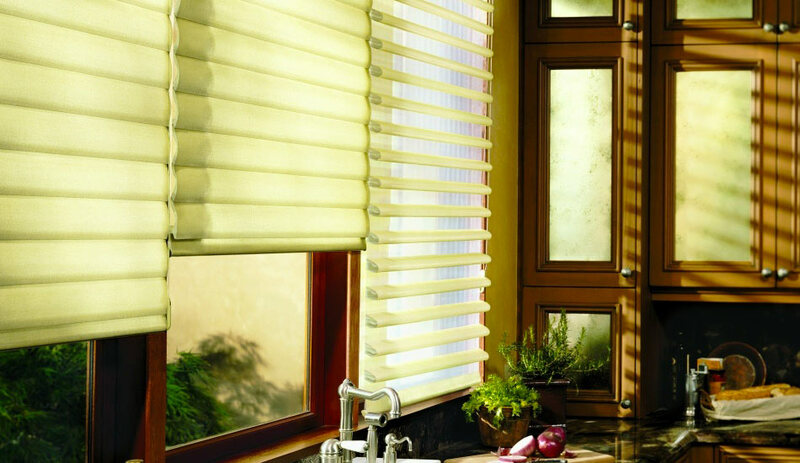 The innovative design combines the most sought after qualities of the drape and the blind. 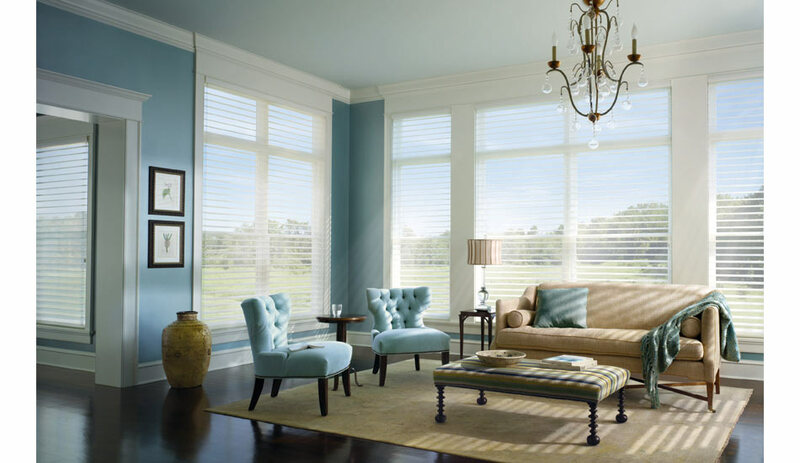 The result is a refined, graceful window fashion with durability that defies the laws of wear and tear. Privacy is the silhouette’s other impressive quality allowing you to have privacy in daytime hours even with the vanes in the open position. Close the vanes in the evening to receive full privacy. 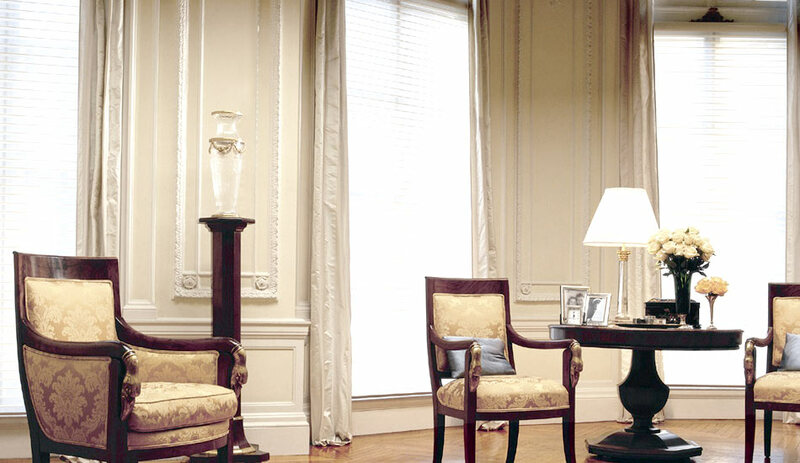 The many fabrics choices vary in opacities, offering light filtering and room dimming. The different textures and colours are vast, from solid, linen, and silk type textures from stark white to pink in colour! 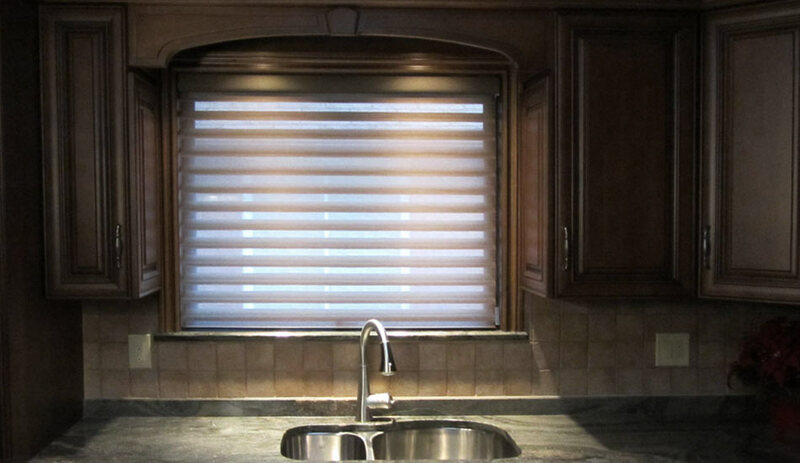 These functional shades are available in 2”, 3” and 4” vanes. 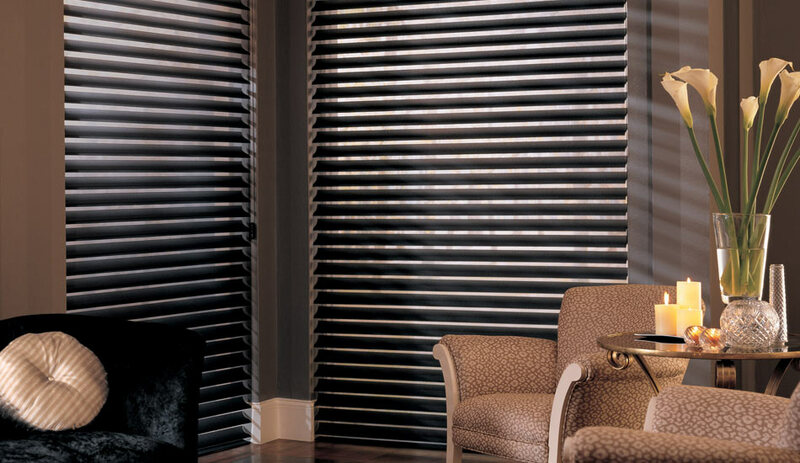 Very similar to the Silhouette the Pirouette window shadings look and feel of a traditional fabric shade is improved with the gentle pull of a cord or press of a button you can change your room’s lighting in a whole new way. Transform the light and diffuse it throughout your room. 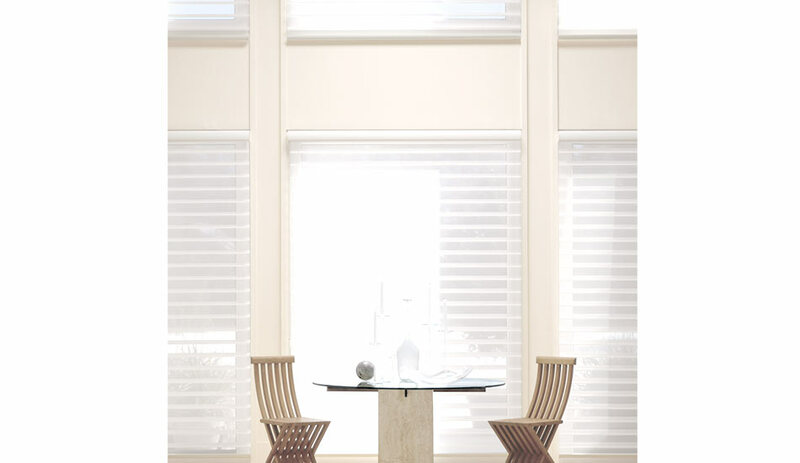 The soft, horizontal fabric vanes expand to filter natural light with a single backing of sheer. 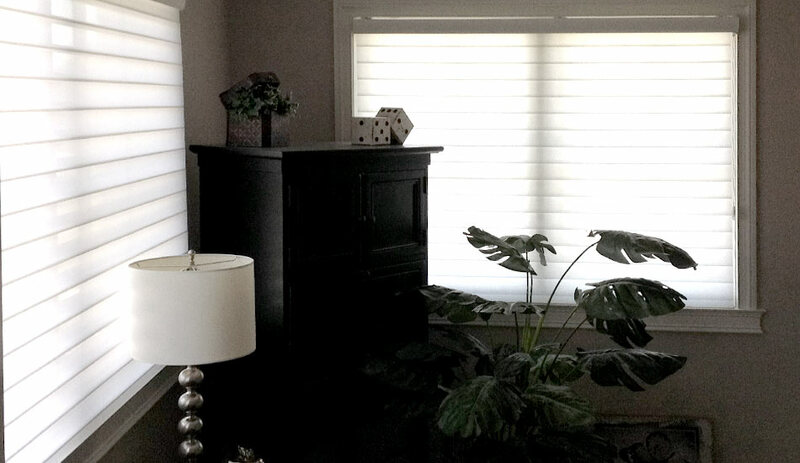 The Pirouette shade will roll up into the fabric covered head rail to give you a perfect view of outside. 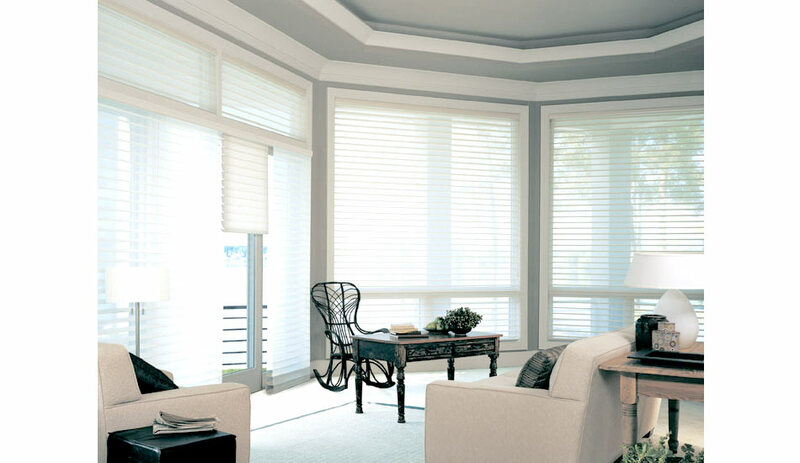 Their innovative fabrics offer you the ability to block out those nasty UV rays protecting your floors and furniture. Available in two different sizes the 4” petite and the 5” grand the Pirouette is a fantastic choice. 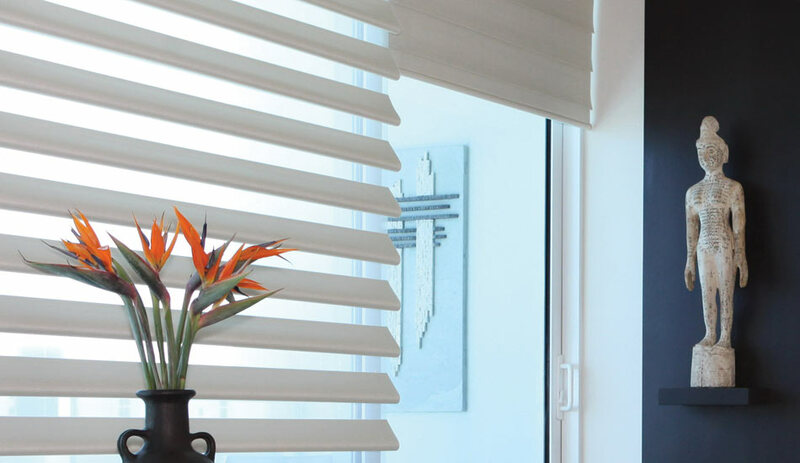 The Invis-Lift feature allows you to view through the shade without seeing any exposed cords or tapes which will give the shade a very discreet appeal. 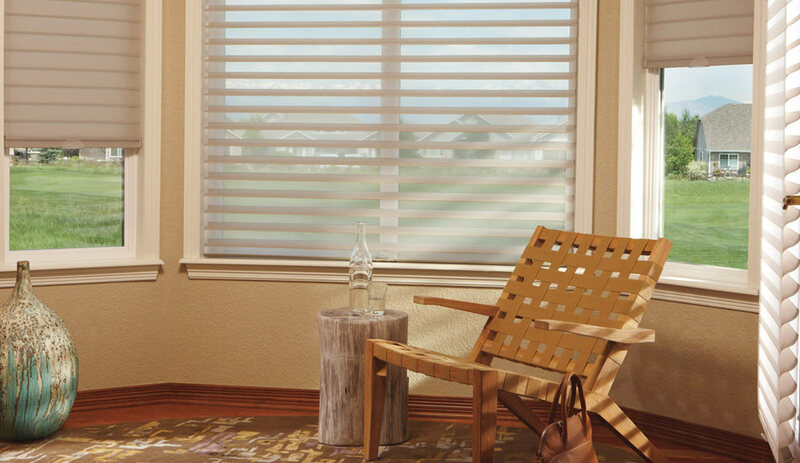 Just like all of the Hunter Douglas Products, The Silhouette & Pirouette Shadings come with a Lifetime Guarantee.